In an industry where keeping up with the neighbor down the street can be critical for survival, Jack Nicklaus is proving that the grass is a little greener on his side of the fence. The golf industry is in the midst of an era where clubs and courses are realizing that to stay competitive in the marketplace, you might have to renovate, redesign or reinvent yourself. That’s why National Golf Foundation studies show that more than 90 renovations reopened in 2015, and there could be up to 100 major renovations undertaken in 2016. Nicklaus Design, which had long ago separated itself with its global reputation for new golf courses, has also proven that it has a knack with new-look golf courses. In Golf Inc. magazine’s recent Renovation of the Year contest, Jack and Nicklaus Design had three of the five global finalists in the Private club category: Bear’s Paw Country Club in Naples, Fla.; Sycamore Hills in Fort Wayne, Ind. 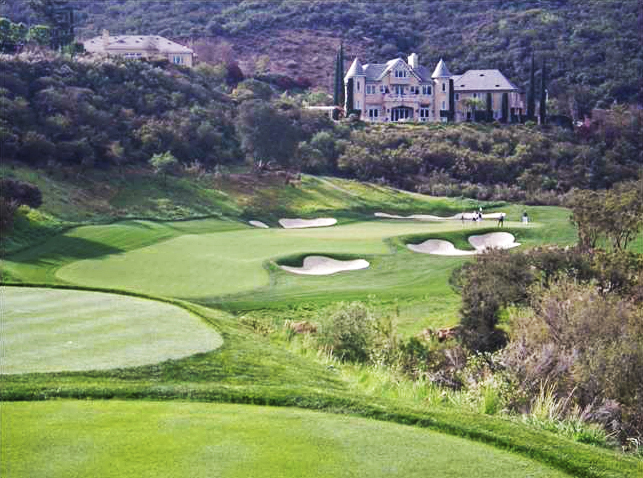 ; and Sherwood Country Club in Thousand Oaks, Calif. Placing No. 3 in the top five was Bear’s Paw, which was first designed by Jack Nicklaus in 1980. The Golden Bear came in and redesigned the southwest Florida layout after 35 years of hurricanes and other harsh weather affected the course. Members at Bear’s Paw were very happy with the playing characteristics of the original design, the club said, but also knew it was time to make some much-needed improvements. So the membership voted overwhelmingly to have Jack Nicklaus and his design team restore the Signature Course—from new greens to bunkers. A new irrigation system was installed. Forward tees were also added on seven holes to make parts of the layout even more playable. Other restoration and renovation work included re-grassing of fairways and roughs; rebuilding all 18 greens; rebuilding all bunkers; restoring practice facilities; and installing concrete cart paths and new comfort stations on both nines. The renovations to Bear’s Paw were unveiled earlier this year at an event commemorating the club’s 35th Anniversary, and attended by Jack and wife Barbara. The course has a special place in Nicklaus’ design résumé—which is creeping up on 300 courses worldwide—as when it opened, Bear’s Paw represented just the 16th layout involving the Golden Bear, only the third Nicklaus Design in the state of Florida (now home to 30 Nicklaus Design courses), and the first Jack Nicklaus Signature Golf Course in Southwest Florida. “The ‘wows’ have been deafening,” said Board of Governors and Greens Committee Chair Bruce Rotte. The only two other Nicklaus Design layouts submitted for Renovation of the Year consideration—Sherwood Country Club in Thousand Oaks, Calif., and Sycamore Hills in Fort Wayne, Ind.—both earned a spot in the final five and “Honorable Mention” in the Private category. Sycamore Hills Golf Club, a Jack Nicklaus Signature Golf Course, first opened in 1989. It became a Top-100 golf course within five years, making the top-40 of Golf Digest’s 1993 ranking of America’s 100 Greatest Golf Courses. In the midst of a recent run of hosting Tour events, Sycamore Hills brought in Jack, along with his son Jack Nicklaus II and Design Associate David Savic, to work on tweaking the layout to accommodate for advancements in golf equipment technology. Sycamore Hills was designed at the end of the persimmon wood and balata ball era, the course said, so the modifications have helped the layout accommodate today’s longer players. Like Bear’s Paw, Sherwood Country Club was coming up on a significant anniversary—its 25th. But for this Silver Anniversary, the club’s decision-makers turned back to the Golden Bear. The high-profile Los Angeles-area club underwent a $10.5 million renovation to modernize the course, tweak the design in areas to add even more playability for the membership, and implement significant agronomic improvements that not only allow the course to better accommodate the effects of a changing climate, but dramatically reduce water consumption in a state challenged by ongoing water issues. It is believed that through the reduction of irrigated turf, the club has reduced water usage by 25 to 35 percent. U.S. Open champion Dustin Johnson is not only a member of The Bear’s Club, Jack Nicklaus’ home club in Jupiter, Fla., he’s also a part-time member at Sherwood. Recently, Johnson sent congratulations to the Sherwood membership. Reflective of the power and interest in Nicklaus’ design work, before the renovation was complete, Sherwood announced that they would be hosting the PGA TOUR Champions’ PowerShares QQQ Championship in October. The first of three season-ending events in the inaugural Charles Schwab Cup Playoffs, the PowerShares QQQ is Oct. 28–30; however, Sherwood will also host the event in 2017 and 2018. Renovations were unveiled at a March 2015 Grand Opening event. Joining Nicklaus at a reception and for a ceremonial tee shot were hockey legend Wayne Gretzky, and actors Dennis Haysbert, Jon Lovitz and Craig T. Nelson. At a dinner event, members and guests were treated to a Q&A with the Golden Bear, plus congratulatory messages from the likes of Tiger Woods, Rory McIlroy, Luke Donald and Graeme McDowell. A few weeks later, a global broadcast audience got a peek when “In Depth with Graham Bensinger” aired a segment on Sherwood. For more information on Nicklaus Design, visit www.nicklaus.com.